High quality 1.25" wide angle eyepieces. A superb upgrade from the standard eyepieces that come with most telescopes. Unlike the plossl eyepieces that are generally 52° field, these WA eyepieces give an impressive 68° field so you will see more of the sky whilst keeping the magnificatfion the same. These eyepieces have a decent amount of eye relief too making them a good choice for spectacle wearers. They are also threaded for standard 1.25" filters. 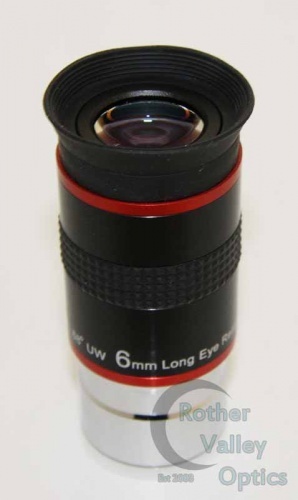 4 different focal lengths available for various magnifications. Please select your desired choice from the drop down box above.